This week we move into the part of the course where we are doing a lot of creation, starting with photography and visual stories. For the next two weeks, get in the habit of doing photographs everyday; make sure you are carrying a camera and using it regularly. For this period, all of the Daily Create challanges will be photography ones. You must do the daily create every day and include your week’s work either as daily posts or a recap by the end of the week (Sunday). We suggest that you create a flickr set for your daily create assignments so you can collect your work in one place (see one of many web tutorials). Here you will get an introduction to the ds106 Assignment bank where most of your subsequent work will happen. 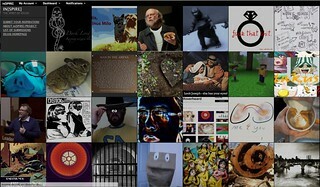 This is a collection of assignments that have been contributed by ds106 participants. Each one has a star rating indicating how difficult/complex it is (rated from 1=easy to 5=hard). In addition, share your process. What tools did you use? What techniques? Thinbk of this as information that would help someone else doing the same assignment. Also note that part of your requirements for this course is writing up how-to tutorials. The visual assignments will likely beto document as tutorials than the later audio and video ones, so it might be worth your while to knock one or two of these off now. If you write a very complete post, it could include your assignment work and count as a tutorial. 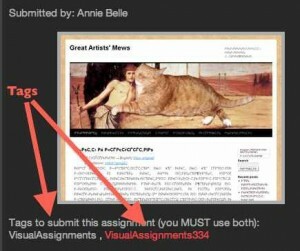 Note that there is a tutorial tag that goes along with each assignment. And here is the nifty part- if you do not like the assignments in the site, then step up and add one yourself. This too is a requirement for the course, so like the tutorials, this is a good time to get ahead of the game. Now go out and create some visuals! I highly recommend Scott Kelby’s Digital Photography Book as another resource to consider. I’m also looking through your google doc on How to be a better photographer. I’ll add some stuff there when I get the time. Thanks Bill! We are looking forward to the K-State mix into ds106.